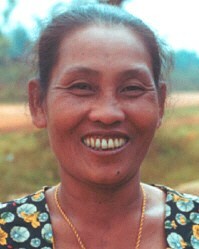 In 1999, the researcher Joachim Schliesinger estimated a population of 1,800 Lao Ga people living in western Thailand. They inhabit one main village, Ban Tabluang, in the Ban Rai District of Uthai Thani Province. The Lao Ga speak a language closely related to the Isan language of north-east Thailand. 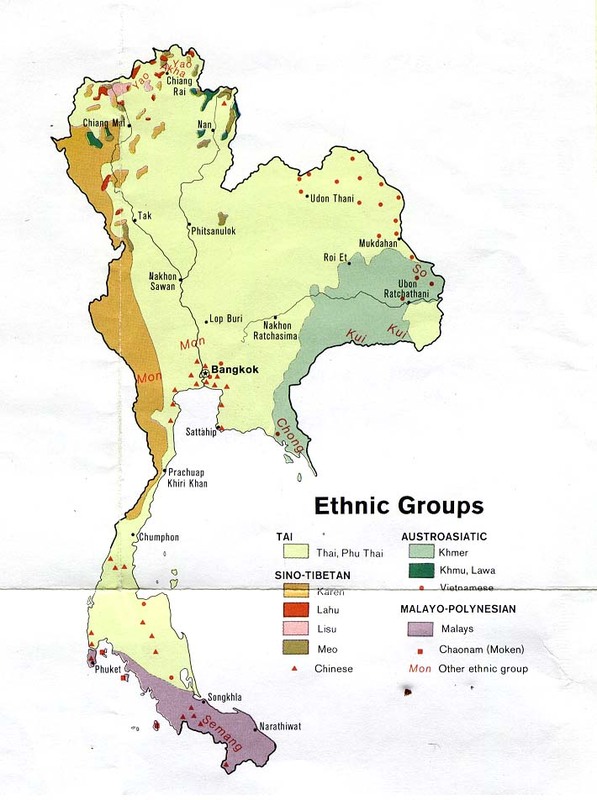 Consequently, most ethnolinguistic studies of Thailand do not mention them at all. One report claims that the Lao Ga 'speak a dialect quite similar to the Lao Krang, but distinguish themselves from the Lao Krang primarily by their loud and croaking voice. This is why other Lao groups call them Ga or Gao, meaning crow. The designation Ga or Gao is offending for these people. The Lao Ga consider themselves a distinct Lao speaking group.' Members of this small group are the descendants of prisoners of war. In the 1800s the Siamese army captured many people during their conquest of Vientiane (the present-day capital of Laos). They forced their captives to march vast distances across Thailand, where they were forced to settle down in remote areas. Over time the people formed a distinct community with their own customs, dialect and common identity as Lao Ga people. The closely-related Lao Krang people were also captured as prisoners of war at the same time, but their homeland was near Luang Prabang in Laos rather than Vientiane. Therefore, despite their similar history and origins, the two groups consider themselves separate and have no contact with each other, even though both live in Uthai Thani Province. In fact, it could be said the Lao Ga have more in common with the Lao Wieng, who also originated in Vientiane but today speak a different dialect. Despite their small numbers, the Lao Ga try to intermarry within their own tribe. For many youngsters, however, this is impossible due to the lack of choices, so in recent years the Lao Ga have started to intermarry with the Thai, Lao Wieng, Lao Isan and Chinese. The groom's family is required to pay a price to the family of the bride before the wedding can take place. 'An 84-year-old Lao Ga grandmother still remembers that her parents received a bride price of 12 baht when she married. Today, the price has risen to 20,000 to 40,000 baht [approximately US$500 to $1,000]. The main occupation of Lao Ga women is spinning, weaving and dyeing. They are skilled producers of blankets, tablecloths and pillows, which they make on traditional spinning wheels and weaving looms. The income they earn from these and other economic enterprises makes the Lao Ga comparatively well off. The men are able to use tractors to cultivate their fields instead of water buffaloes and oxen. The main crops of the Lao Ga are rice, maize, tobacco and sugarcane. The men also use bamboo traps to catch grasshoppers, field rats and red ant eggs, all of which are considered highly-prized delicacies. One hundred per cent of Lao Ga people are Buddhists. Christianity has yet to make any impact on this people group. View Lao Ga in all countries. Location in Country: They inhabit one main village (in western Thailand), Ban Tabluang, in the Ban Rai District of Uthai Thani Province.